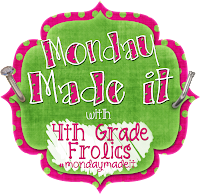 Sixth Grade Tales: Monday Made it & played it + What I'm Reading! 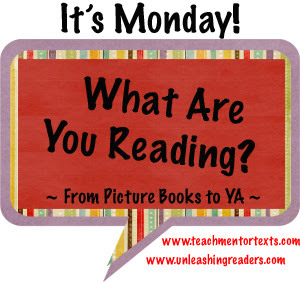 Monday Made it & played it + What I'm Reading! For today's Monday Made it link up I'm going to share what kind of things I've been playing with my nephew to keep him occupied during the summer. My sister doesn't like pictures of her kids on the internet so excuse the lack of faces in the pictures. 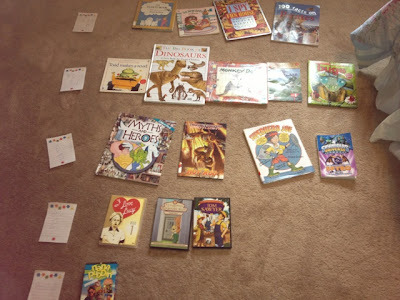 My nephew will be in first grade next year so I try to play educational games with him. 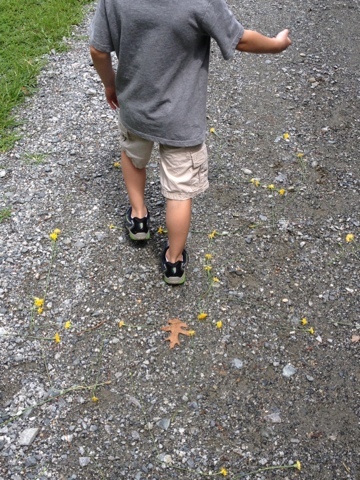 The first thing we did today was collect flowers and make our own hopscotch game. To involve learning I had him count me out how many flowers each square in the game needed. 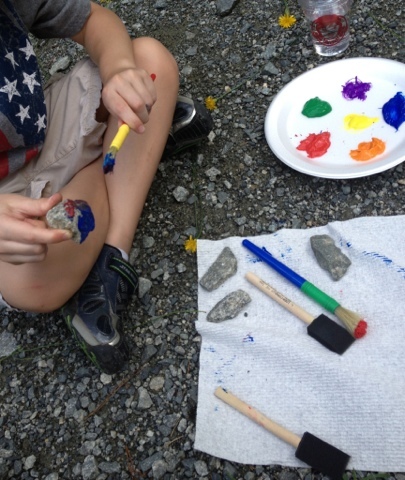 The second thing we did was paint rocks. We talked about what colors mix together to make other colors. He loves to paint so this was a real hit. Once they dry we will probably play some kind of pretend game with our new pet rocks. The most fun we had today was creating our own store. He love anything pretend and I was able to get him learn a lot without him even knowing! We first sorted books by category and then I had him label what row each category of books were on. This helped him practicing writing numbers. I then acted like I was a customer and asked him to suggest certain books for me. When I was ready to pay I had him write me out a receipt showing the amount I owed. We then switched roles and he was customer. 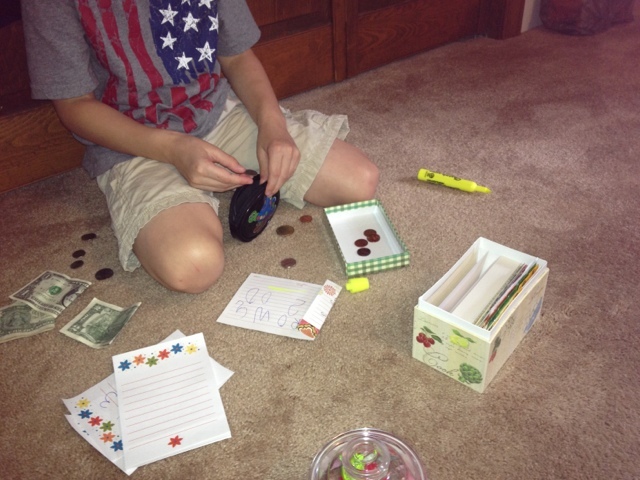 He had to count out coins to correctly give me for the books he was buying. Coming up with so many different games everyday can be be fun, but exhausting at the same time. Anyone else have suggestions for fun summer kids games? 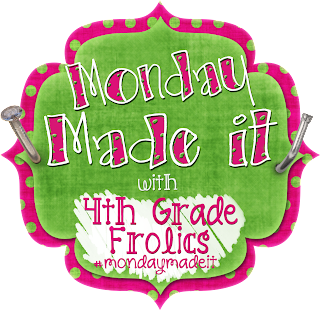 Make sure to link up with 4th Grade Frolics. 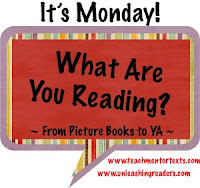 I also wanted to share what I was reading for the What are you Reading Monday linkup. I'm currently reading an awesome professional development book called Teach like a Pirate by Dave Burgess. I'm sure many of you have heard of it but if you haven't read it yet then it is a must this summer! I'm learning a completely different way to think about teaching. It is a very inspiring book. I'm also reading Strategies for Teaching Learners with Special Needs, which is a textbook I read in college. I'm going back over it to remember strategies to use when teaching in an inclusion classroom. If anyone has any other suggestions for teaching students with learning disabilities I would greatly appreciate it! Finally, don't forget that Google Reader shuts down today! 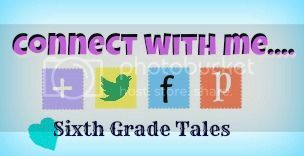 Follow me on bloglovin to stay updated. I hadn't yet heard of Teach Like a Pirate. Looks great--adding it to my Shelfari list for summer professional reading. Thanks! Get to know me with....an award! 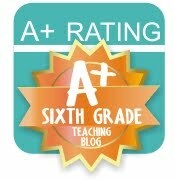 It's a blog hoppin Saturday! What I'm Loving Wednesday & Pinteresting!